Rosetta woke up today. That's a big relief. 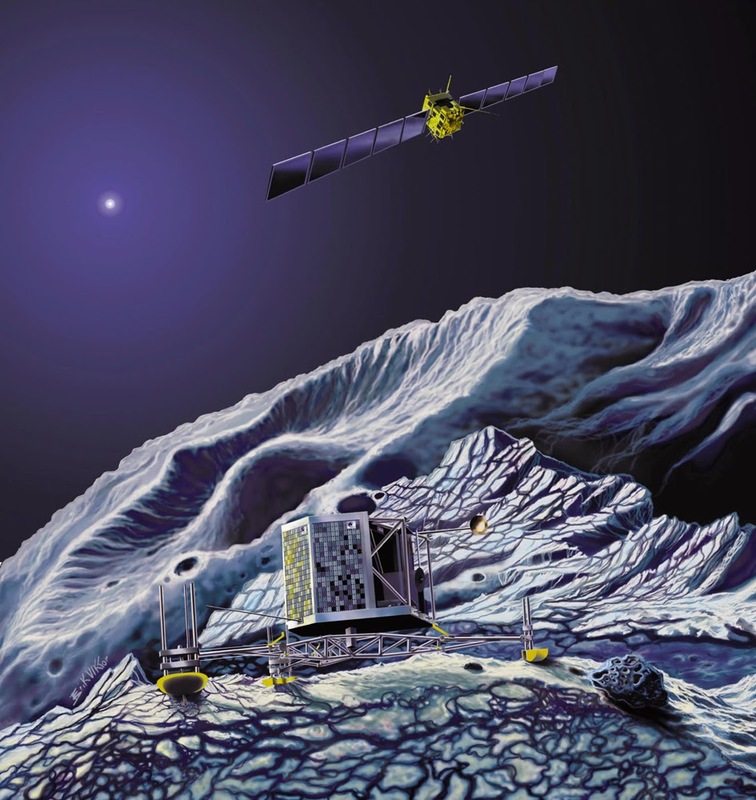 Rosetta is the European spacecraft that is going to attempt to land on a comet. Wild wild stuff. It took off from earth in 2004, almost 10 years ago, and has been sailing along to its destination in a sort of hibernating state. There are two components to the spacecraft. An orbiter which will, well, orbit the comet, and a lander which will, um, land on it. Now that it has woken up it'll spend the next 4 months making sure it is in the right position to rendezvous. It'll then slip into orbit and slowly slow itself down. During this time it'll map the surface to find a suitable landing spot because no one has any idea what the surface looks like. Then in November of 2014 it'll release the lander. The gravity is obviously very small so as it approaches it'll fire off harpoons to make sure it doesn't bounce off the planet. The bottom of the lander will also drill into the comet to further secure it. It'll hopefully be an exciting year.